During the month of October – National Youth Justice Awareness Month – I had the opportunity to travel with Tanya, Maui, Breauna, and Cassaundra, four women formerly involved with the juvenile justice system in West Virginia, South Carolina, Tennessee, and Southern, California. Their ages range from early twenties to late thirties – bridging decades and spanning the city streets of Los Angeles to the Appalachian Mountains. We were traveling together to conferences, roundtables and strategy sessions to advocate for juvenile justice reform focused on the needs of girls. These four women were so different and yet they shared strikingly similar experiences. The National Runaway Switchboard estimates that on any given night there are approximately 1.3 million homeless youth in America. Thousands of these youth are runaways, minors who left home without permission and stayed away for at least one night. 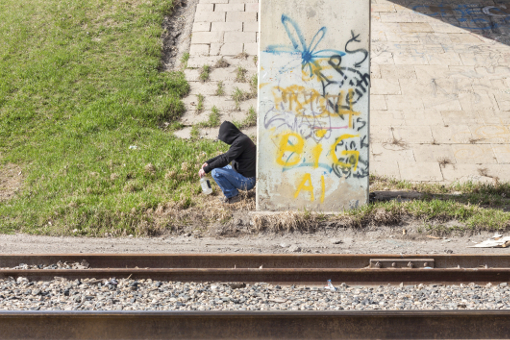 Youth run away from home for many reasons, but often they choose to leave because home is not a safe place –over 46 percent of runaway and homeless youth are victims of abuse or neglect. In April 2014, a sixteen-year-old transgender girl of color and trauma survivor was placed in an adult correctional facility by the Connecticut Department of Children and Families, which claimed the young woman was too violent to be housed elsewhere. Despite the fact that she had not been charged with or convicted of any crime, Jane Doe remained in the adult prison for two months, much of it in solitary confinement, before being transferred and subsequently placed in a juvenile detention facility for boys.